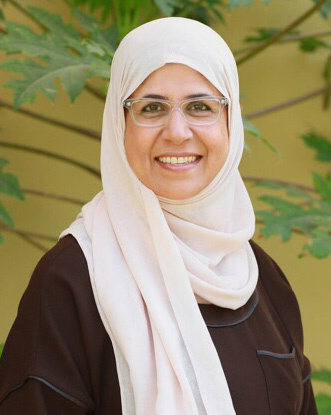 Dr. Fatima Albalooshi is the Chief Executive Officer of White Palm and Chairman of Bahrain Trust Foundation. She is a passionate humanitarian and an active advocate for women’s rights and community empowerment. In 2014, Forbes named her the fourth most influential woman in government in the Middle East. Dr. Albalooshi served as the Minister of Social Development for ten years as longest serving female minister in the Bahraini Government. She has been a pioneer in the empowerment and development of individuals and civil society, through introducing new concepts and creating projects that improves the lives of people and elevates the quality of governmental services. In the years 2010 to 2012, Dr. Albalooshi was the first Minister to hold three ministries at the same time: Ministry of Social Development, Ministry of Health and Ministry of Human Rights. She performed outstandingly and proved herself as a prominent leader figure locally and regionally. In 2011, she was awarded Bahrain Medal (First Degree) by HM the King of Bahrain.Prior to that Dr. Albalooshi worked as a professor at the University of Bahrain. She was the Chairman of the Department of Educational Technology before becoming the Dean of the College of Education. She had a great role in establishing several academic programs and projects there. Furthermore, Dr. Albalooshi, in her endeavor to empower the poor and small entrepreneurs in collaboration with prominent figures, is the Founder/Chairman of the Board of Directors of Family bank – Bahrain, which is the first Islamic Microfinance Bank in the world (2010-2014). She was also a member of the Economic Development Board, Executive Committee – Bahrain (2008-2011). Also, a member of the Consultative Commission for the Supreme Council of the GCC Leaders (2004-2005). Presently, she is an esteemed member of Supreme Council for Women (2001-present), appointed by HM The King of Bahrain. Dr. Albalooshi holds an Ed.D, Ed.M, and M.A from Columbia University, New York, USA; and B.Sc from Concordia University, Montreal, Canada.